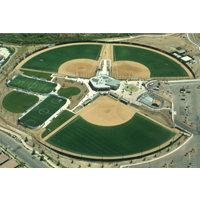 Built in 2010, Sportsplex USA Santee is San Diego's Premier Sports and Recreational Facility.This state-of-the-art 20 acre facility hosts over 350,000 people each year through our sports leagues, tournaments, and corporate events. 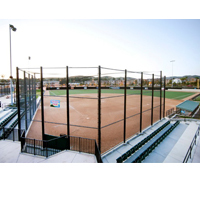 Sportsplex USA Santee has three tournament quality fields with 300' fences, synthetic turf, pro-style player dugouts, professional spectator seating and electronic scoreboards. 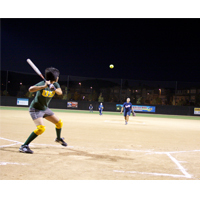 Practice your swing in one of our four slow-pitch batting cages. 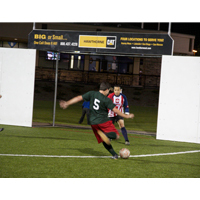 We also offer two 180'x80' indoor soccer arenas with advanced synthetic turf, large electronic scoreboards and plenty of spectator seating. 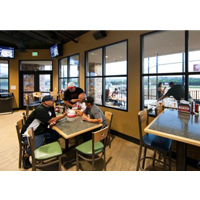 Our large and comfortable post-game sports pub has draft beer and a menu offering all your favorite ballpark snacks. Relax in our air conditioned sports pub with your friends while watching all the major satellite sports packages on our flat screen TVs. 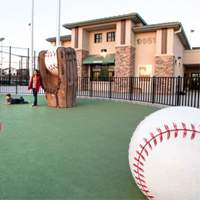 Once you experience the park, you will understand why Sportsplex USA is San Diego's Premier Sports and Recreational Facility. From Highway 52, take Cuyamaca heading west. 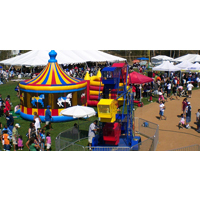 Make right on Riverwalk Drive. 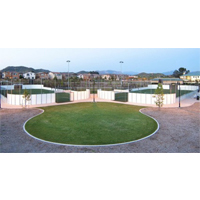 Sportsplex USA is located on left-hand side.